This beautiful natural coloured square corner set is perfect for using to relax and enjoy the summer sun. The flat rattan weave is weather resistant and is therefore suitable for using in the garden as well as being an attractive addition to any conservatory. The stylish ready assembled seating components are easily positioned together and the padded seat and back cushions provide a comfortable and relaxing experience. The footstool is dual purpose providing a relaxing extension to the seats as well as doubling up to provide extra seating should those unexpected guests suddenly arrive. 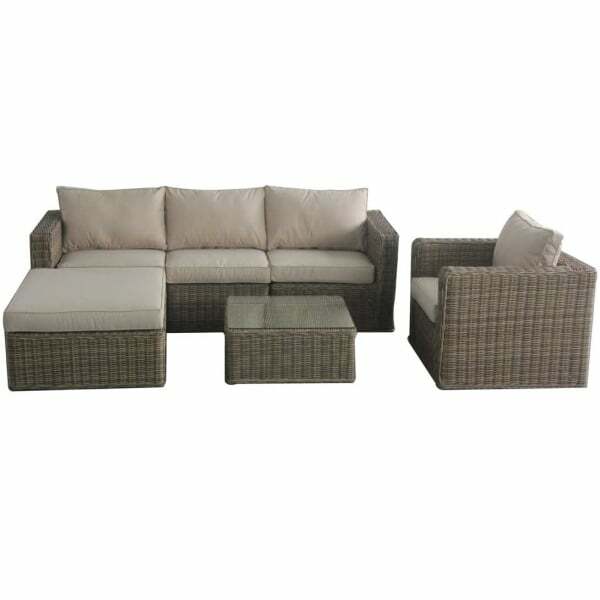 Other products from the extensive Maze Rattan Winchester range can be viewed on our site.